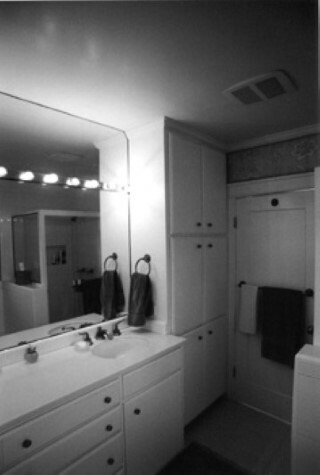 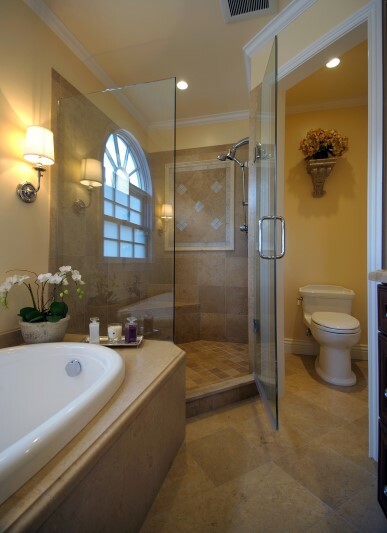 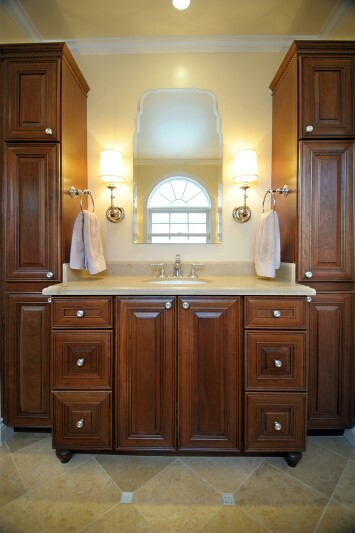 This project was the remodel of the master bath in a 1927 house. 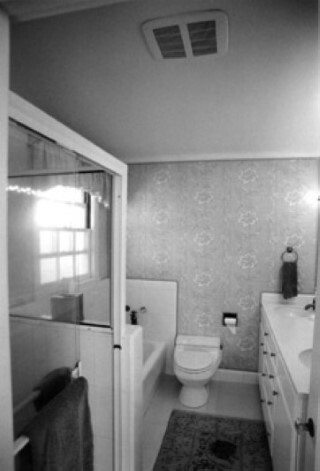 A portion of an adjacent over-sized closet was utilized for a larger shower and to provide an enclosed toilet niche, and a larger window was added over the tub. 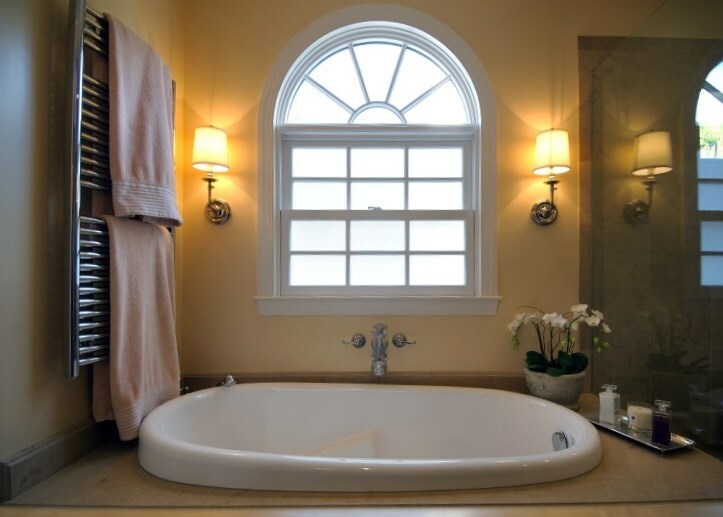 The window design and palette of materials, colors and details were selected to make the bath fit the character of the original, adjacent house portions.